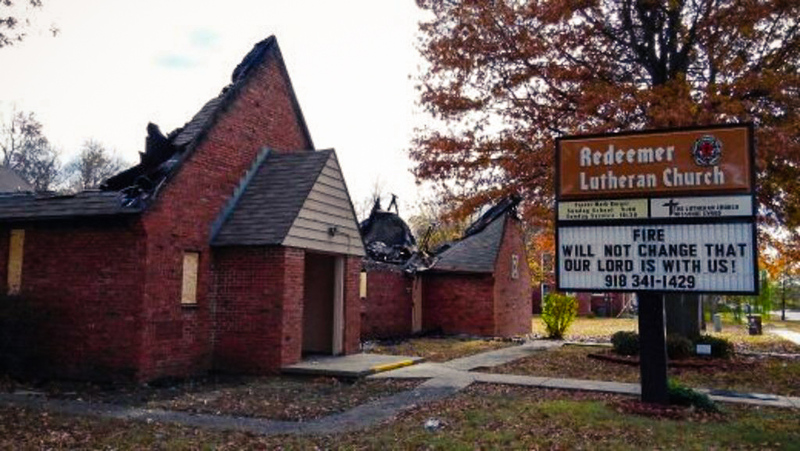 When fire destroyed the aging facility Redeemer Lutheran Church used as its fellowship hall, kitchen, nursery and just about everything but its sanctuary, the Claremore, Okla., congregation needed to accelerate building the replacement intended farther down the road in their capital campaign. Two years later, members are eager to open the new and much improved 9,000 sq. 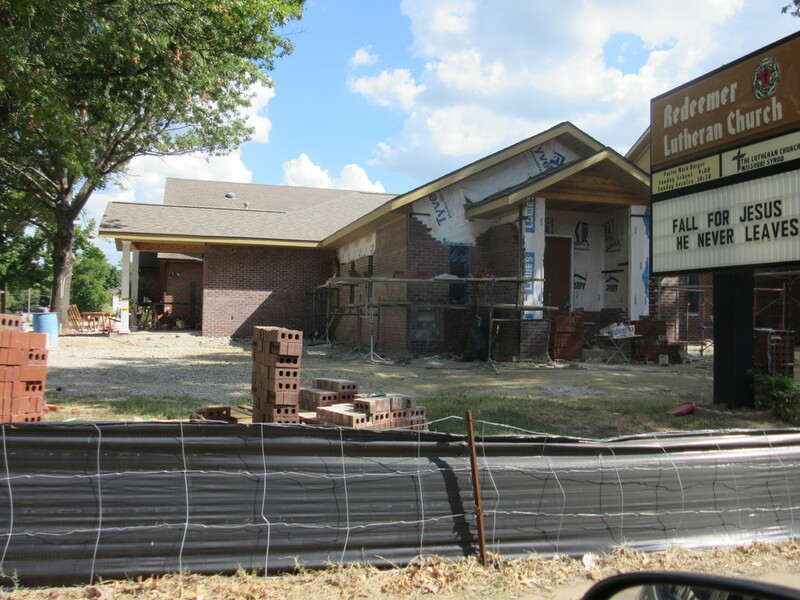 ft. family life center they hope will strengthen community outreach – and, through their partnership with LCEF’s Laborers For Christ, already has been a blessing to the congregation. “We planned to wait a few years until we had more money,” said Denis Nelson, a longtime Redeemer member who worked alongside Laborers on the center. Cost savings drew the congregation to this “hands and hearts” ministry, but Nelson says that’s “only one of many reasons” his church appreciates Laborers For Christ. “They became part of our congregation and fit in real well,” Nelson said of these dedicated Christians – seven Laborers and four spouses – who lived in their RVs some five months in Claremore, serving but also joining in worship, Bible study and fellowship activities – plus a round of golf and fun outings here and there. 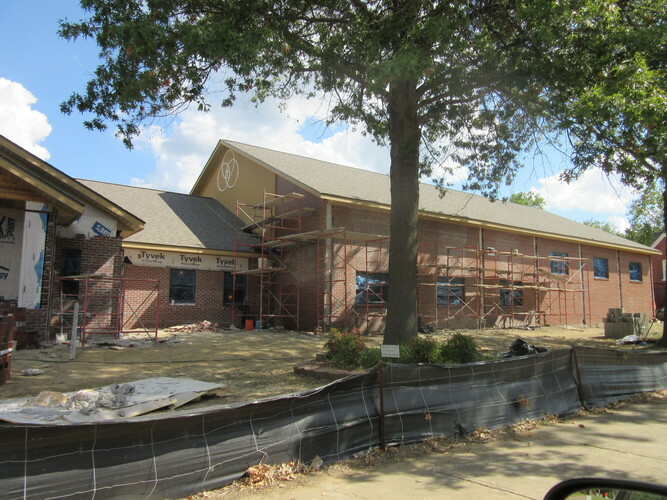 Early in the project and per the congregation’s recommendation, Laborers designated adequate facilities for the church food pantry – closed since the fire – a construction priority. “We felt good about their quality of work. 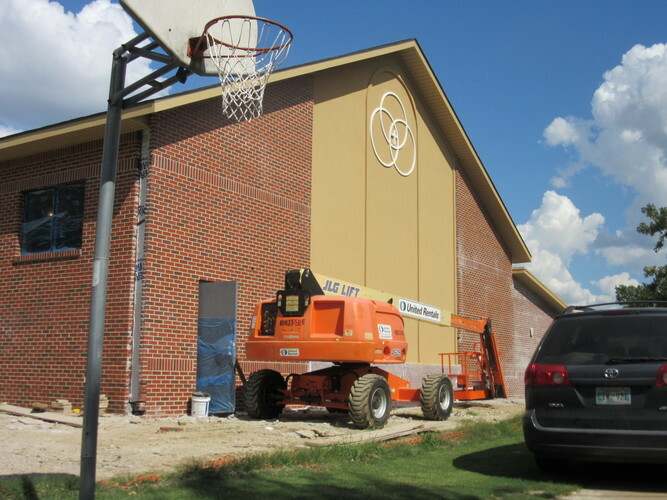 Working with them was different than with a regular contractor,” said Nelson, who has a full-time job but set aside Fridays and Saturdays to lend a hand with Laborers and church volunteers. 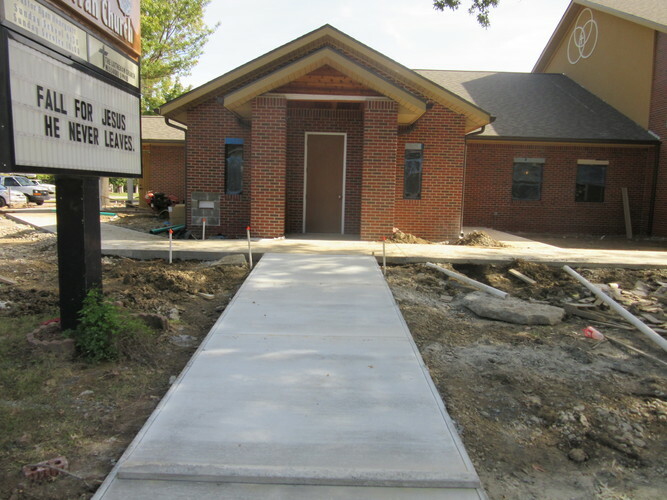 The family life center – financed with the help of an LCEF loan – also includes six classrooms, more accessible restrooms and a spacious gymnasium. The addition “really opens us up to further outreach for Sunday school and more opportunities for kids and even adults to gather,” said the Rev. Ryan Honeycutt, Redeemer’s pastor, who mentions open gym nights and mentoring opportunities, for starters. During each Sunday service, Laborer and project manager Paul Schmid shared a construction update with the congregation. Redeemer families “took good care” of Laborers, Schmid says, through prayer, food every Saturday and a refrigerator stocked with bottled water – the latter especially welcome in July when the heat index hit 114 degrees. He calls this Laborers team “phenomenal men who knew how to work together.” They included an engineer, farmer, computer consultant and an accountant. “One of many things that make Laborers so neat is that each person brings his expertise in a different field,” said Schmid, a former lieutenant colonel and 28-year Army veteran from Brookfield, Wis.
Redeemer’s family life center is Schmid’s 13th project since becoming a Laborer in 2008, a year after the death of his wife, Marlene. Today, he knows God was pointing him toward opportunities to help congregations like Redeemer Lutheran reach more people with the Gospel. “It’s hard to put into words, but it’s so rewarding to give back,” said this veteran Laborer.